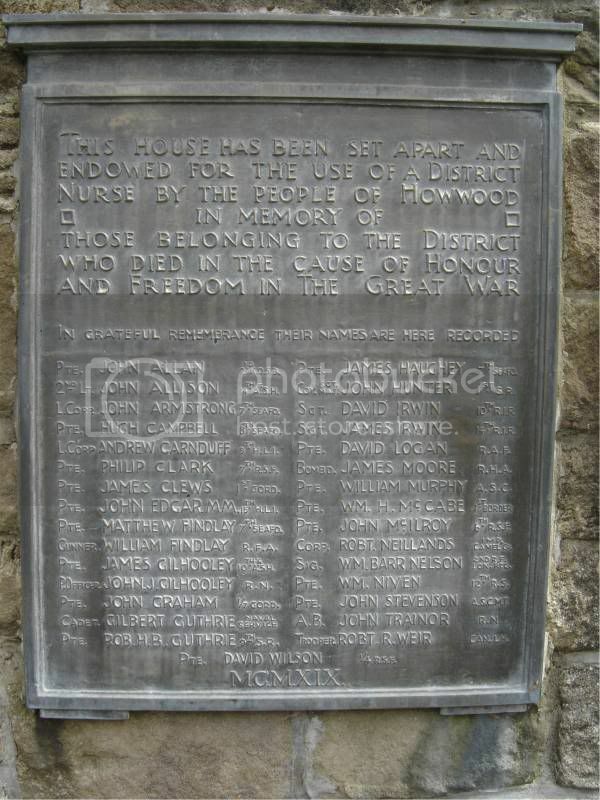 The Howwood memorial is in the form of a bronze tablet which was originally on the house established and equipped for the District Nurse. There was often a struggle within memorial committees in the years following WWI with some arguing for monuments, and utilitarians supporting ideas for what they considered to be more useful projects which would benefit the community. 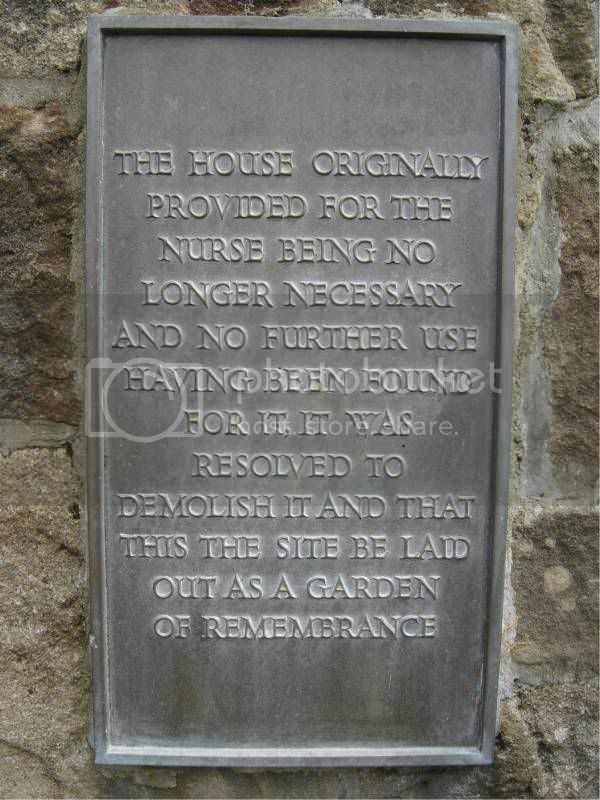 In the case of Howwood a compromise was reached with a house being equipped for a District Nurse with a bronze memorial tablet set on the wall. 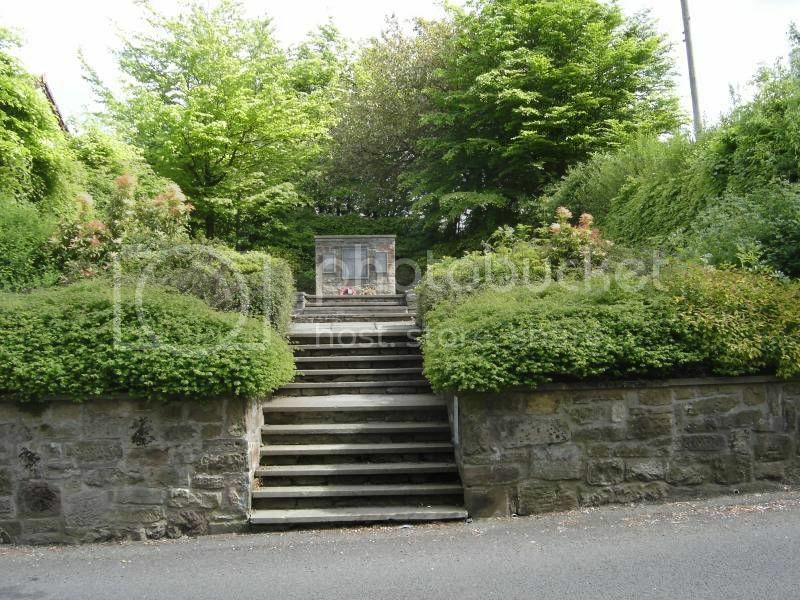 Like many such utilitarian memorials, however, it outlived its usefulness, the house has been demolished and on the site a memorial garden was established and the bronze tablet set into the wall at the rear. An additional bronze plaque commemorating the dead of WWII was added later. The garden is in a plot between the houses on Bowfield Road. Allison John	Argyll & Sutherland Highlanders	Second Lieutenant	14th A&S.H. Cairnduff Andrew	Highland Light Infantry Lance Corporal	9th H.L.I. Clark Philip	Royal Scots Fusiliers	Private	7th R.S.F. Edgar John	Highland Light Infantry Private	M.M. 15th H.L.I. Gilhooley James	Argyll & Sutherland Highlanders	Private	10th A&S.H. Guthrie Robert H.B. Scottish Rifles Private	9th S.R. Hunter John Scottish Rifles Company Segreant Major	1st S.R. Irwin David	R.I.R. Sergeant	10th R.I.R. Irwin James	R.I.R. Sergeant	14th R.I.R. Niven William	Royal Scots	Private	12th R.S. Weir Robert R.	Canadians	Trooper	Canadian L.H. Wilson David	Royal Scots Fusiliers	Private	1/4th R.S.F. The Garden of Remembrance is mostly slabbed with some concrete slabbed steps leading to it from the road. There are some raised flowerbeds which are untended and low hedges. 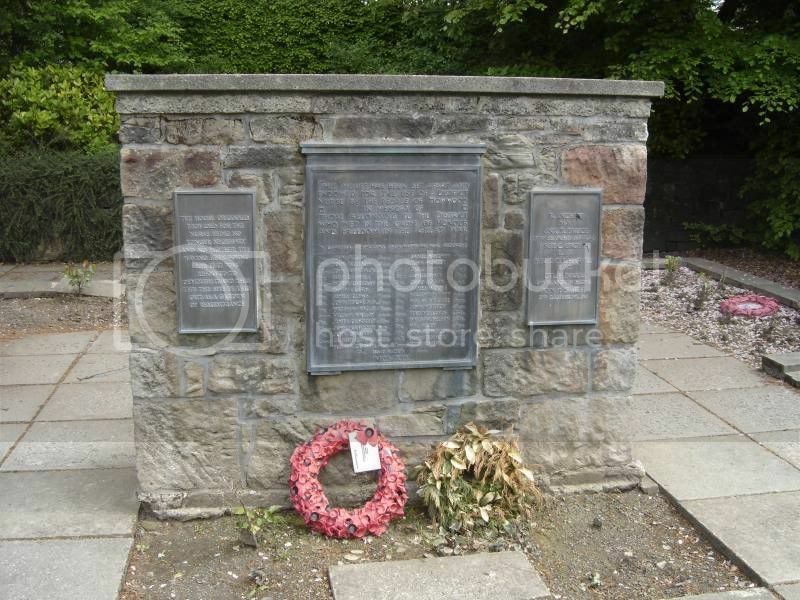 The memorial itself is built of cemented stone, rectangular and about 1 to 1 1/2m tall and 1 to 1 1/2m wide. It is only 0.3 to 0.6m deep.. There is a central large brass plaque from WW1 commemorating the building of a nurses house and the names of the fallen. On either side are two smaller plaques explaining the nurse’s house is demolished but the site has been kept as a war memorial and giving the WW2 names of the fallen. Centre Plaque. There is a Main Inscription and then below this the WW1 names of the fallen in 2 columns. The names are arranged alphabetically by surname. Rank, forename, middle initial, surname and regiment or service given. One man has a decoration. PTE. JOHN ALLAN	2ND K.O.S.B. 2ND LT.	JOHN ALLISON	14TH A.& S.H. L.CORP. JOHN ARMSTRONG	7TH SEAFO. PTE. HUGH CAMPBELL	8TH SEAFO. L.CORP. ANDREW CARNDUFF	9TH H.L.I. PTE. PHILIP CLARK	7TH R.S.F. PTE. JAMES CLEWS	1ST GORD. PTE. JOHN EDGAR M.M. 15TH H.L.I. PTE. MATTHEW FINDLAY	7TH SEAFO. PTE. JAMES GILHOOLEY	10TH A.& S.H. P.OFFICER	JOHN J. GILHOOLEY	R.N. PTE. JOHN GRAHAM	1/7 GORD. PTE. ROB. H.B. GUTHRIE	9TH S.R. PTE. JAMES HAUGHEY	7TH SEAFO. COY. SGT. MAJ. JOHN HUNTER	1ST S.R. SGT. DAVID IRWIN	10TH R.I.R. SGT. JAMES IRWIN	14TH R.I.R. PTE. WM. H. McCABE	1ST BORDER. PTE. JOHN McILROY	6TH R.S.F. CORP.	ROBERT NEILLANDS	IMP. CAMEL. CO.
SIG. WM. BARR NELSON	2ND R.F. LON. REG. PTE. WM. NIVEN	12TH R.S. TROOPER. ROBT. R. WEIR	CAN. L.H. PTE. DAVID WILSON	¼ R.S.F. The following soldier is listed on this memorial. Information preceded by an Asterisk (*) denotes information not shown on the CWGC or other records. Born: Armagh Resided: Howwood, Renfrewshire Enlisted: Glasgow (11/Jan/1915). *Age: 37 Date of Death: 29/06/1915 Cause: Died of wounds (Sustained Gallipoli). Previous Military Service: Private McCabe stated on his enlistment forms that he had previous service with the Argyll and Sutherland Highlanders. *Family notes: Husband of Mary McCabe (nee Moore), Main Street, Howwood, Renfrewshire; also of Hawthorne Terrace Howwood. Other notes: Private McCabe’s Enlistment Forms show that he married Mary Moore at Lochwinnoch, Renfrewshire, on 22/12/1899. His Medal Index Card shows him as entering the Gallipoli Theatre of Operations on His Casualty Form (A.F. B. 103) states that he died of “Gunshot wound to the head” at the 88th Field Ambulance. Private McCabe’s wife received a pension of 10 s per week for herself from 31/1/1916, no children are mentioned, and so it would appear that they had no children at the time of his death. Census notes: The 1901 Scottish Census shows William (aged 23) residing with his wife Mary (aged 20) at the home of her parents, James and Annie Moore, of Kilnow Cottages, Lochwinnoch, Renfrewshire. Grave/Memorial: Panel 119 to 125 or 222 and 223. Helles Memorial. IWM Records Page No: Volume V, Page 274. "Drowned at Havre, France, on the 19th last, Gilbert Guthrie, aged 19, beloved son of Mrs Gilbert, The Manse, Howwood." As he was in the Merchant service and died from an accident he does not qualify for the CWGC database. According to Merchant Service Return the vessel he was attached to was the "Pomeranian". 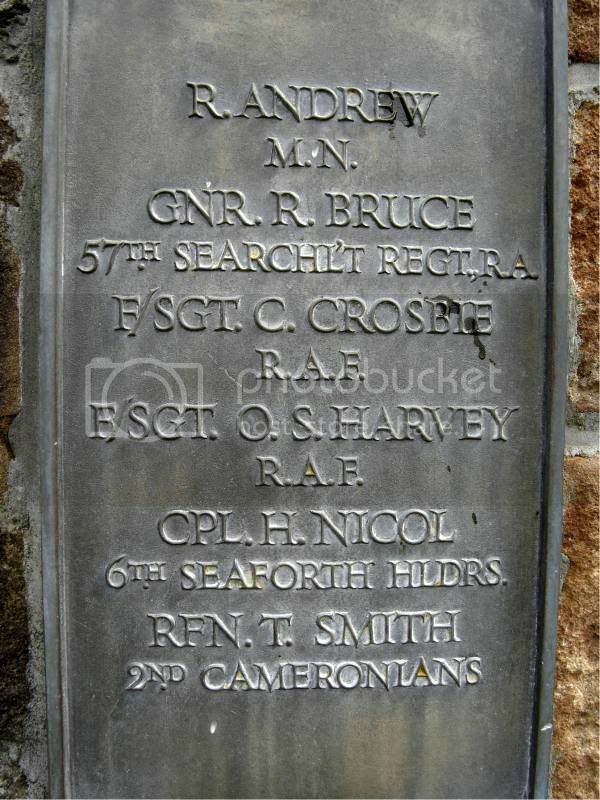 Also named on Girvan War Memorial. Additional Information: Son of Edward and Margaret Carr.